The heroes of the DC universe come to life with these sculpted PVC figurines! 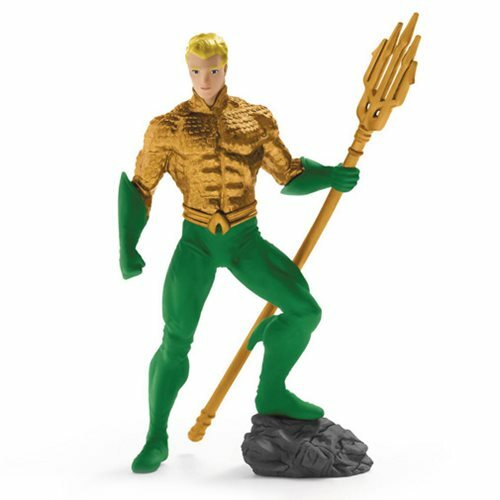 Standing roughly 2-inches tall, Aquaman is presented in a dynamic pose. The DC Comics Aquaman PVC Figurine comes packaged in a window display box. Ages 13 and up.